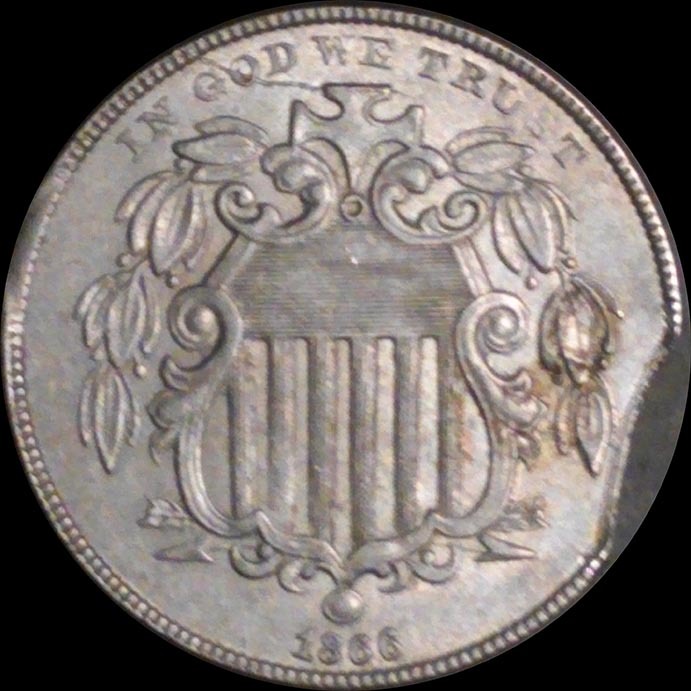 This 1866 shield nickel was struck on an incomplete planchet. This kind of error is also known as a clip. 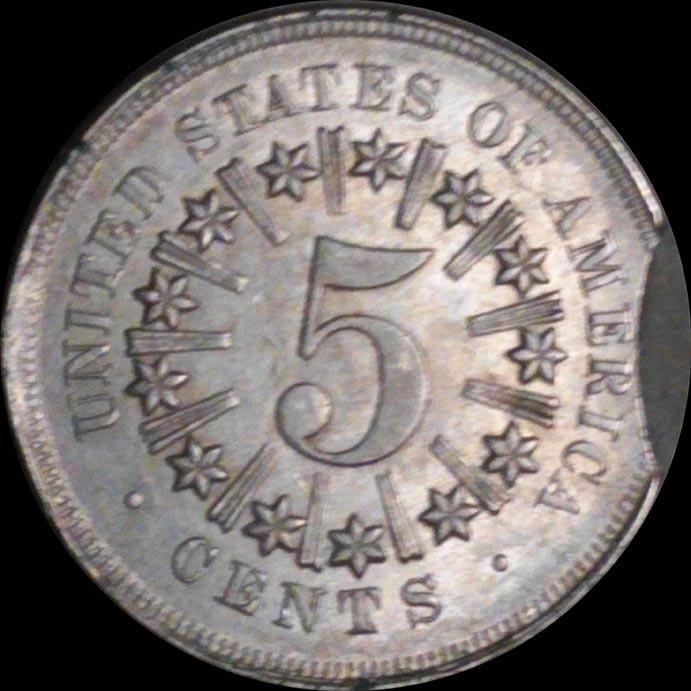 One of the diagnostics of a genuine clip is the "Blakesley effect," an area of weakness at the pole directly opposite the clip. Both photos clearly exhibit the Blakesley effect.